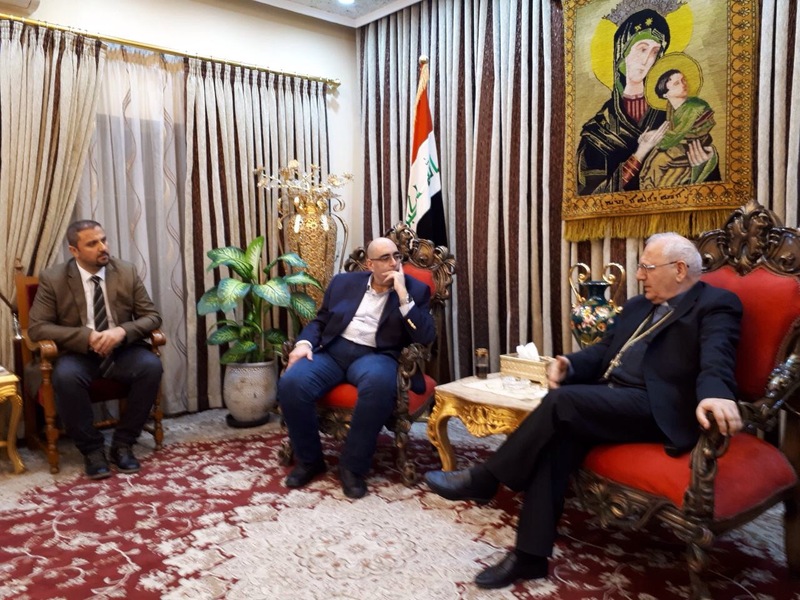 A joint delegation from the Alliance of Iraqi Minorities Network and the United States Institute of Peace visited his Beatitude Cardinal Louis Sako Patriarch of the Chaldean Church in Iraq and the world. The meeting was held at the headquarters of the Patriarchate in Baghdad on 8/12/2018. The joint delegation included Dr. Elie Abouaoun Director of the Middle East and North Africa Programs at the United States Institute of Peace, Mr. Husam Abdullah head of the Alliance of Iraqi Minorities Network and Mr. William Warda member of Public Relations Committee of the Alliance. Discussion and deliberation was on two topics, the first on minorities and the importance of directing efforts to preserve their rights and meet the challenges facing, the second issue concerns the importance of continuing and cooperating with religious institutions to serve this issue because of the effects of the clergy on public opinion and guiding citizens to the right positions. The details that have been discussed was on working to establish the convictions of the components of minorities of the importance of sticking to their common existence with other components as well as working in accordance with the joint programs between civil society organizations and the United States Institute of Peace to achieve peace and community cohesion and achieving peace and stability in minority areas for development and improvement of the security, economic and cultural services. 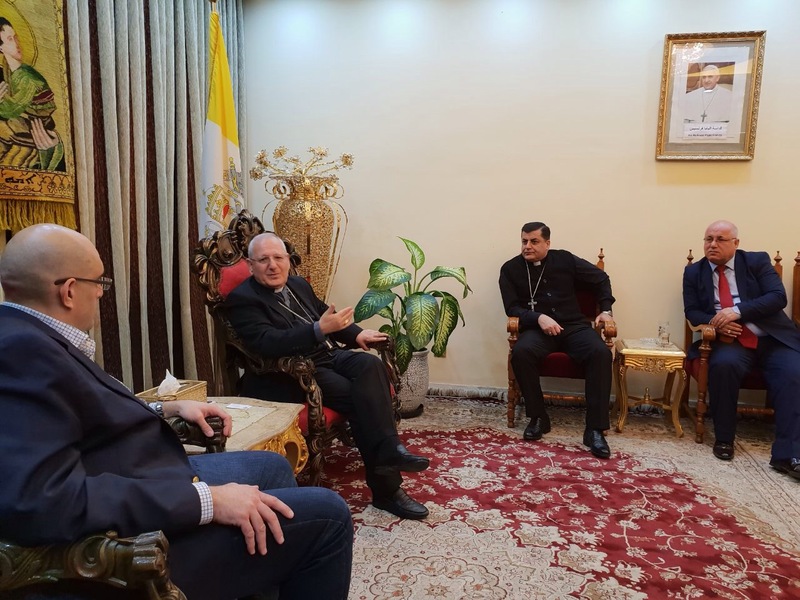 On the subject of the role of the Church, the visiting delegation wished his Beatitude the Cardinal to have programs carried out by the Church to promote these contents and benefit from the positive relations between the clergy and the citizens. The Cardinal stressed the importance of having coordination means to serve issues of this kind. The delegation expressed thanks and appreciation to His Beatitude, praising his efforts to lay the foundations of civil peace and achieve true national partnership.